Home/Integrating SRM with other data sources – what does the future hold? 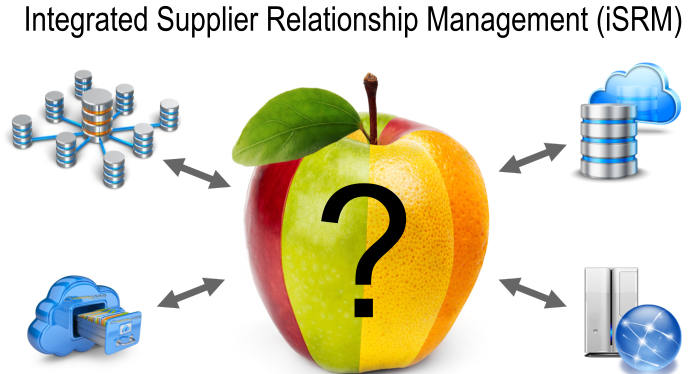 As the Supply Chain becomes more and more integrated through technological advances, faster communications infrastructure, increase of social media, and advances in data integration capabilities I am opening up this discussion as I am very interested hearing your thoughts and experiences around existing and new sources of data and information integration and how we get to a fully integrated Supplier Relationship Management (SRM) Initiative. Data Effort – How much time would it take to re-key this data again into a system rather than integrate. How many people would this consume and what would the cost be versus fully integrating it. How long would the ROI be ? Data Accuracy – How accurate would the data be if we entered it manually and what would the cost be for data rework ? What would the cost of making a wrong decision based on inaccurate data? Data Timeliness – How much quicker would the data reach the appropriate decision makers if we had realtime integration? Data Refresh Rate – By integrating the data does the new source mean that your data is more up to date than it would be if you had people manually updating it ? Data Maintenance – Does the end result from a successful Integration save you a lot of people time maintaining and updating the data, and could you put these people on other more important tasks ? Data Value – What is the value of the data you are integrating to your initiative. Would the Initiative be as successful without this data. Would supply chain Risk Mitigation be improved by having this data? There are many different data sources that have been successfully integrated with SRM systems including internal Management Information Systems, ERP Systems, Operations Systems, Contract Mgt Systems, P2P, HSSE systems, even direct integrations with systems outside the firewall including the Suppliers own systems; Sales Systems, CRM, Supplier’s HSSE System etc. Integration with ERP systems for Financial, Purchasing, MRP, and Inventory Mgt – Why ask the supplier for financial data you already have internally ? Integration with WellView or OpenWells for Well Header Information and Job data across a range of Drilling and Completions Operations. Integration with Contract Management Systems to ensure compliance with Contractual level KPIS. It’s the integration with the supplier systems that it seems is providing the real value in terms of effort efficiency (avoids double keying data), and increased value add in terms of real-time informational value add. More recently we have seen an increase of integration of SRM initiatives with Cloud based Third Party Information Providers (Supplier News, Risks, Financials, Market Risk etc) . Integration with Stock Alerts / Company news for Public Traded Suppliers, Google Finance, Yahoo Finance etc. Integration with MI companies such as Mintel and Intelligentsia. Integration with Google Alerts on Supplier companies. The next wave is most likely integration of SRM with Social media, (Linkedin, Facebook etc.) I see the value add here being from a social impact / personnel perspective. Imagine if we had up to date profiles on the Supplier Company, and their products at our fingertips including product references, likes, dislikes, comments. Likewise for the profiles of the supplier personnel that we work with on a daily basis. I mean how many times have you gotten off a call with a supplier representative that you have not met before only to find yourself doing a Google / Linkedin search on them 5 mins after the call, or even before the call. The same can be said for suppliers looking up operator personnel. Could such data be used for not just relationship management purposes, but also as individual profiles of the supplier or customer staff you may be negotiating with ?What value would you place on having profiles available on your trading partners staff ? Another Scenario is getting updates that Joe Bloggs whom you have had a great working relationship with for the last 10 years has suddenly left one of your key suppliers. Often suppliers tend to hold back staff departure information (at least until they have a replacement up to speed). As they are often not known for proactively informing you of such change then Integration with social media could give you that heads-up on a timely basis. No matter what the social media platform is there is real value on having this information at your finger tips in your SRM. I’d love to hear your thoughts and experiences on this topic. What have you integrated your SRM System with? What were the challenges? What are the Opportunities for the future that would add more value to SRM? What are the dangers that SRM initiatives could be exposed to through Integration?